Fun Friday Finds ~ Born in the USA! All of the products were born in the USA... and Minnesota! 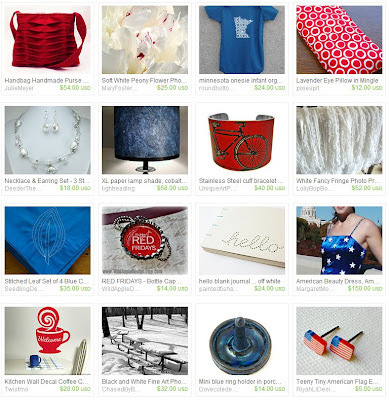 Show your support by checking out our talented artists and crafters from Minnesota on Etsy. This week's giveaway is from Nancy of Kibbles 'N Knits. She is giving away this one-of-a-kind necklace. Nancy created this one-of-a-kind necklace using vintage quilting fabric handed down by her grandmother. She made the vintage fabric into a bead pendant. She paired the fabric bead with a new glass bead and added an 18 inch mini ball chain necklace with lobster clasp. The pendant itself is 1.75" from the top of the bail to the very bottom of the vintage fabric bead. This handmade necklace is both simple and bold. 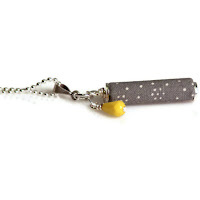 Hop on the yellow and gray trend with a one-of-a-kind piece! Contest ends Saturday, July 7th, at 12:00 noon Central. One winner will be chosen by Random.org. 7. Become a Facebook Fan of Kibbles 'N Knits. Comment back here with your Facebook name. Existing fans just leave your Facebook name here. 8. Follow Kibbles 'N Knits on Twitter. Comment back here with your Twitter link. Existing followers just leave your Twitter link here. 9. Follow Nancy's blog. Leave a comment here letting us know you are a follower. If you are already a follower, leave a comment anyway, as each comment is an entry. Fun Friday Finds ~ Midsummer! This week's giveaway is from Sabrina Dalman of Riyah-Li Designs and she is giving away these set of 5 trendy earrings. How cute are these Trendy Stud Earrings? The lovely little hearts & the lucky clovers were made from shrink plastic, The refreshing orange slices, the sweet cupcakes and the cartoon mushroom earrings are made from polymer clay. These playful earrings will make a great addition to a fun wardrobe or great to split into individual gifts. Earrings are 0.5-1.0 cm & will come with silicone earring backs. How to Enter: Visit Riyah-Li Designs, pick your favorite item and leave a comment on this post about it. (Scroll to bottom of post and click on Comments) Please make sure you include your email address so we have a way to contact the winner! 7. 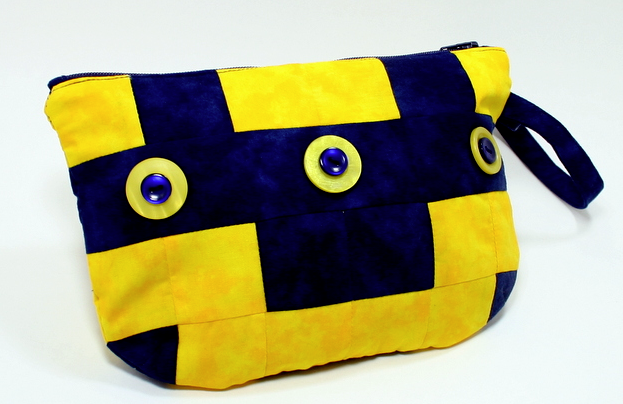 Become a Facebook Fan of Riyah-Li Designs. Comment back here with your Facebook name. Existing fans just leave your Facebook name here. 8. Follow Riyah-Li Designs on Twitter. Comment back here with your Twitter link. Existing followers just leave your Twitter link here. 9. Follow Sabrina's blog. Leave a comment here letting us know you are a follower. If you are already a follower, leave a comment anyway, as each comment is an entry. 10. Contest ends Saturday, June, 30th, at 12:00 noon Central. One winner will be chosen by Random.org. 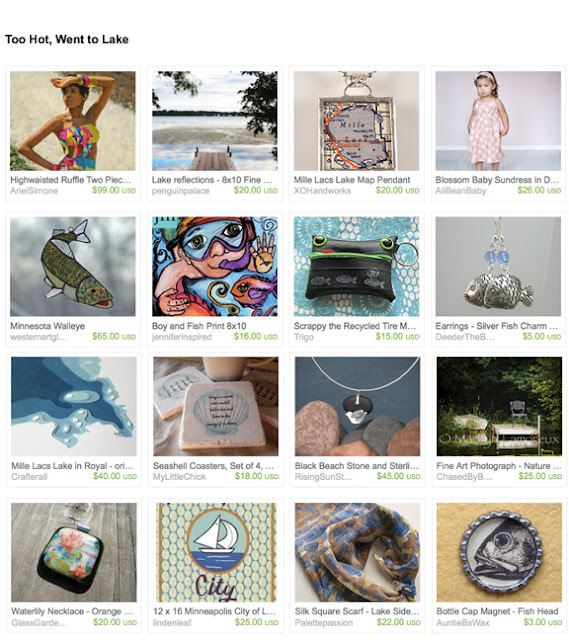 Fun Friday Finds — Let's Go to the Lake! C'mon, we wait all winter for this; you're not going to complain about the heat, are you? You know what to do—go to the lake! This week's giveaway is from Luann of Luann Danzl Designs. She is giving away this handmade tangerine chiffon hairclip/pin. 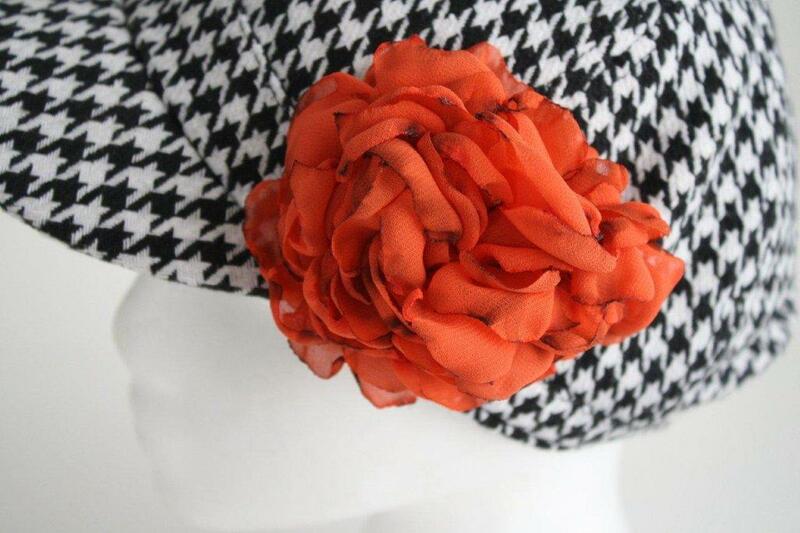 There's no doubt you'll make a statement with a feminine flair when you wear this ruffled handmade flower! It will look outstanding on a hat, purse, jacket, blouse or even the waist of a dress. And don't forget to wear it in your hair as well! 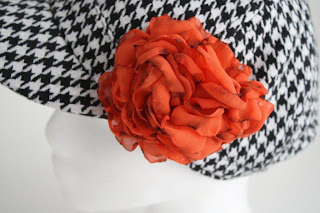 Luann created this flower using chiffon that has been singed and shaped into soft ruffles. It's approximately 4 inches (10.2 cm) and has a pin/aligator clip combination back. Contest ends Saturday, June 23rd, at 12:00 noon Central. One winner will be chosen by Random.org. 7. Become a Facebook Fan of Luann Danzl Designs. Comment back here with your Facebook name. Existing fans just leave your Facebook name here. 8. Follow Luann Danzl Designs on Twitter. Comment back here with your Twitter link. Existing followers just leave your Twitter link here. 9. Follow Luann's blog. Leave a comment here letting us know you are a follower. If you are already a follower, leave a comment anyway, as each comment is an entry. There's an Etsy shop where you can get the freshness of summer blooms all year long. MaryFosterCreative is filled with fine art flower and foliage photographs by Mary Foster. Not only does she photograph nature's beautiful works of art, she grows the blooms herself! 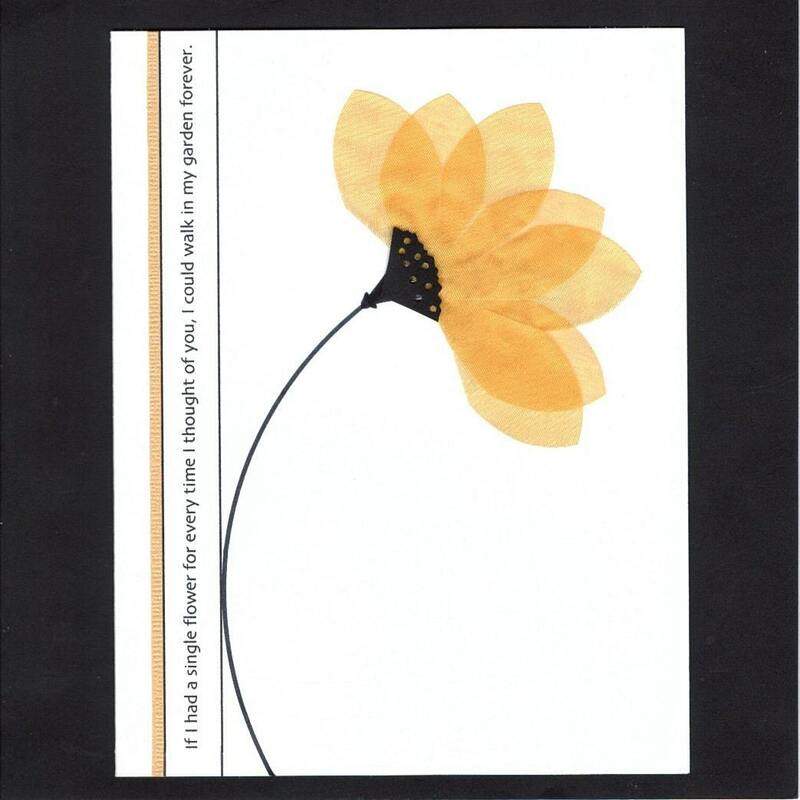 The shop features flower and foliage prints as well as note card collections. Cards can be purchase individually or in sets. Imagine how thrilled someone would be to receive a lovely hand-written note on one of these gorgeous cards. Fun Friday Finds ~ School's Out for Summer! My kids are out of school for the summer. Now it feels official. I have some adventures lined up for the family like a few road trips, camping and bonfires. I'm sure there will be lots of biking, time at the park and swimming. Have a great summer! 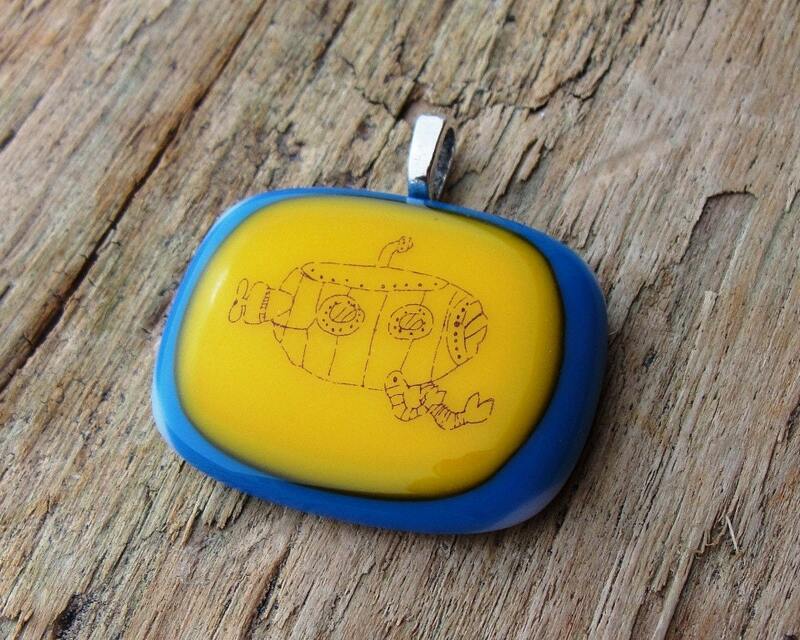 This month's challenge theme is Yellow Submarine. Voting ends at midnight on June 15th. This week's giveaway is from Denise of Deeder the Beader who is giving away this Rwandan Paper Bead Cluster Necklace and Earring set. 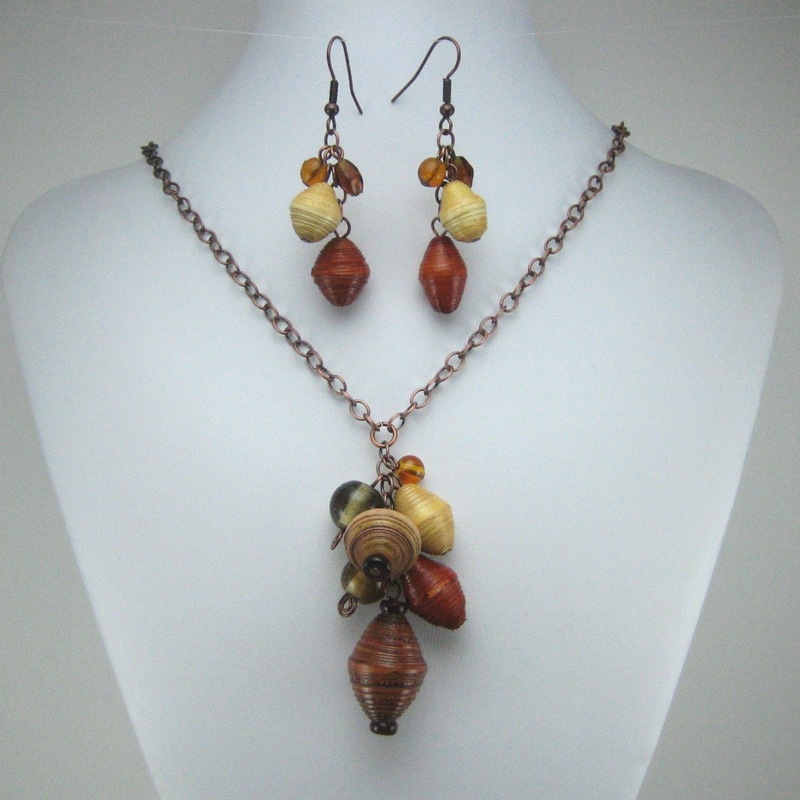 This cluster necklace and earring set was designed using paper and glass beads, accented with antiqued copper chain and findings. The paper beads were handmade in Rwanda by women who are getting back on their feet following the past genocide, illness or other household issues and they are learning a trade to help support their families. The paper beads are in a combination of brown, rust, tan and orange. They are accented with orange and brown glass beads. The necklace is approximately 22 inches though it can be clasped a couple of inches shorter if desired. The matching earrings hang down approximately 1-5/8 inches below the ear-wire loop. Visit Deeder the Beader, pick your favorite item and leave a comment on this post about it. (Scroll to bottom of post and click on Comments) Please make sure you include your email address so we have a way to contact the winner! 4. Follow our blog (you want to do this anyway to learn about upcoming giveaways!). Leave a comment here letting us know you are a follower. If you are already a follower, leave a comment anyway, as each comment is an entry. 9. Follow Denise's blog. Leave a comment here letting us know you are a follower. If you are already a follower, leave a comment anyway, as each comment is an entry. 10. Contest ends Saturday, June 16th, at 12:00 noon Central. One winner will be chosen by Random.org. Fun Friday Finds ~ Pinterest Edition! 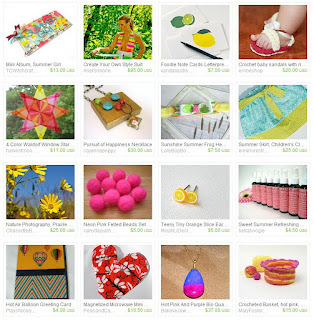 Today's Fun Friday Finds is inspired by our new HandmadeMN team Pinterest board! We're just getting off the ground with it, but I thought it was a good idea to feature a few of these artists today. There are a couple of duplicates - that's because these folks have done such a great job showcasing their work on Pinterest, I didn't notice I was picking them more than once!